I weighed in on Monday at 240 lbs. It's a cruel truth, but I didn't lose any weight over the last 10 days. I guess I have to accept the fact that if I continue eating enough calories for a family of four I'll never get down to 230. After my weigh in I wondered how many calories I burn daily and what type of deficit I need to create in order to continue losing. I discovered this nifty calculator on Discovery that calculates your BASIC METABOLIC RATE (BMR). BMR is a simple calculation that tells you the number of calories your body needs to simply exist. According to the BMR calculator on Discovery Health I burn 2,690 calories each day. Now that I know the number of calories I burn each day I can calculate how many I need to cut in order to lose 2 lbs per week. Math: 3,500 calories = one pounds. 2lbs / week = 7,000 calories. This means I have to cut my caloric in take down to 2,200 calories per day and burn an extra 500 calories / day with exercise to create a caloric deficit of 7,000 calories / week. Ugh - sounds harder than I thought. Nothing inspires weightloss like a good-ole-fashioned contest. But the real hard work will come after the contest ends. Most people gain the weight back after they complete their diet. I know I have gained it all back after past diets. I think the key to long-term success requires changing the paradigm from eating for fun to eating for health. Most of us eat what we want because it satisfies our wants. Huge corporations like McDonalds, Pepsi, and Domino's dedicate massive marketing budgets towards tantalizing us with foods that are terrible for us. I think our ultimate success rests on our ability to change our mindset, not our ability to simply eat less food. 2.4 mi. 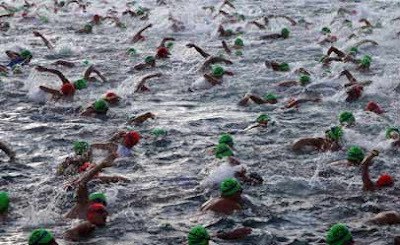 swim • 112 mi. bike • 26.2 mi. run ? I have a friend who is training for a half IronMan. Below is the grueling training calendar for the race...I think I should stop complaining about my 3rd set of squat thrusts. Tony, Captain and Toucan Sam - Can't we be friends? This morning I went straight to the gym without breakfast. At the end of my hour-long workout I started feeling woozy and nearly puked all over the leg extension machine. 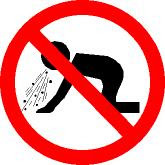 I haven't puked after exercising since I ran with the 7th-grade cross country team. I learned that going to the gym on an empty stomach is not a good idea. To prevent a near embarrassing situation, I cut my workout short and went to the gym's cafeteria where I downed an individual sized portion of Kashi Go Lean cereal. Normally, I'm a Captain Crunch man but this was an emergency and the vat of eggs in the stainless steel container was not going to help my nausea. I poured skim milk into the bowl and started reading the label. Having eaten my way through plenty of Just Right and Smart Start, I'm often skeptical of the health claims plastered on cereal boxes. However, this stuff delivers on its health promises; Each cup contains 140 calories, 13 grams of protein and 10 grams of fiber. Their marketing materials claim that one serving supplies 40% of your daily fiber needs and 20% of your daily protein needs. Hopefully the Kashi people come up with a commercial as compelling as the Toucan. When compared to its peers you see Kashi is the clear winner. Letter to the Editor - Can Guys Really Lose it Faster? Did you not see the Today Show this AM?! Men surely loose those nasty L-B-S period, much swifter than women! I've had ten to lose for the past ten years. I don't know what that figures, but I do know that a polluted environment may be a mighty factor in weight gain--verses loss. Toxins are stored in fat and so the question arises--which comes first, the chicken or the egg--internal pollution or fat as storage bins! 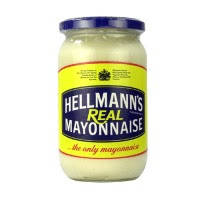 A few months ago I purchased Miracle Whip as a substitute for Mayonnaise. Since then I've been using it to dress my Tuna and Turkey Sandwiches. Now that Al has thrown down the Gauntlet, it's time to talk strategy. In The Art of War, Sun Tzu argues that if you are small, pretend that you are big...and if you are big pretend that you are small. Somehow I don't think this applies to dieting competitions. I'm going to be transparent in my effort to beat Al. As I once mentioned, I am going with a new dieting model -- The Salad Diet. Weight Watchers tells me that I can only consume 27 points a day plus 35 bonus points to spread throughout the week where necessary. Well, based on my current calorie consumption, I'm averaging only 20 points a day-- mostly because my lunchtime and dinner salads only use up 5 points per meal. Perhaps I'm eating too little? But I actually feel full after each meal so I think I'm good. As Al mentioned over a slice of pizza, calories are calories and this whole weight loss game is about decreasing overall intake. 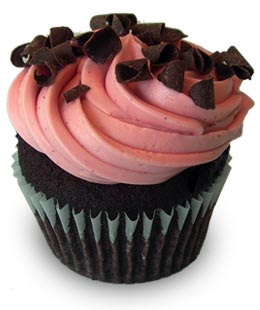 If I can maintain sufficient willpower, I don't see how I can lose this contest. As I approach my 31st birthday, I’ve decided that it’s time to get in shape – once and for all. I’ve tried to do this before. Right before I moved to Miami I had been seeing a personal trainer at SeriousStrength on the UWS and I started to see real muscle definition. Then, in Miami, I got a personal trainer and was seeing her for 1 month before I fell off the horse and got caught up with work and traveling. But this time I’m serious. The journey won’t be easy. First of all, I have terrible eating habbits. I love food -- particularly burritos and pizza. Second, I tend to snack late at night. I love eating and get tremendous joy from it. For the past 3 months, I have eaten with such reckless abandon that I gained 20 lbs. I’m now weighing in at a whopping 185 – roughly 30-40 lbs over my target weight. Nearly all of the weight has gone to my tummy. To put it simply, I’m sick of looking like a man that’s 8 months pregnant. (1) Cut out bad food. No burritos, pizza, french fries, pasta, Indian food, etc. Exceptions can be made once a week but that’s it. (2) Replace at least one major meal with a large leafy green salad. (3) Do cardio 3-4x a week for 40 minutes per session. (4) If I’m going to drink, only drink vodka with club soda. I believe that if I do this right, I can lose about 1.5-2 lbs a week and lose 30 lbs in about 4 months. It’s not going to be easy and it’s not necessarily going to be fun, but if I can make it last, I’ll certainly be a lot healthier and look better naked. Over the weekend I celebrated a friend's wedding. After the party a group of us descended on the hotel bar to continue the festivities. Faced with 30 hungry people fighting over a few trays of nuts I committed Mortal Diet Sin #1. At midnight I dialed Domino's pizza to order the dreaded midnight snack....the standard conversation began. "Hello, this is Domino's, please hold" - She returned a few moments later "May I take your order" - the damage was nearly complete. I answered "Can I have 4 Large Pizzas?" 35 minutes later, 4 large thin crust cheese pizzas arrived. The adult pizza party began. Like vultures over a carcass the crowd devoured 6,112 calories worth of pizza in just a few minutes. Pleased with ourselves we continued drinking late into the night. Only today, a few days after the infidelity occurred did I begin to realize the grave nature of my sins. Each of those tiny thin crust pizzas had 1,528 calories, 66 fat grams and 68 g of protein. I shudder to think at the number of slices I ate. Next time I start jonesing for a late night pizza I'll be sure to click here to check out the "nutritional" content of a standard pizza and remind myself to stick with the salted bar nuts. Drown Your Leftovers in Salt? This blog is a terrible idea. 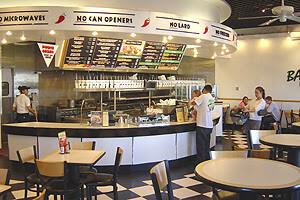 Yesterday I had lunch at Baja Fresh with my Mom and Annie. It's a Chipotle-style fresh-mex chain owned by Wendy's. 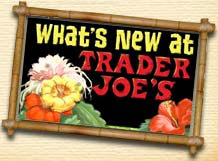 The food is delicious and they promote a No Can Opener, No Microwave, No Lard philosophy which at least makes you feel like you might be eating something healthy. After we finished our meal I thought it would be a good idea to eat my Mom's last fish taco. Right before I got my hands on her taco she started pouring water on it and said, "You can't eat the taco, what about the blog?" She then went on to explain that when she feels she's full, she will sometimes pour salt, pepper, or water on any remaining food on her plate so she is not tempted to eat it. George Bush Eats Cuban Food? This morning Annie and I arrived in Miami. Straight off the plane we headed to Versailles to eat classic Cuban pastelitos. Versailles is the place to go in Miami if you want to rant about Fidel while sipping extra strong coffee. 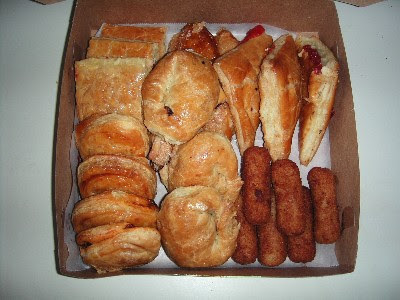 The place is also well known for their pastelitos which are sweet, flaky pastries filled with chicken, beef, cream cheese or guava paste. Our pastelito de guyaba (the guava one) and cafe con leche set us back 386 calories: 250 for the pastry and another 136 or for the coffee. Oh and it just so happened that while we were there we ran into President Bush. 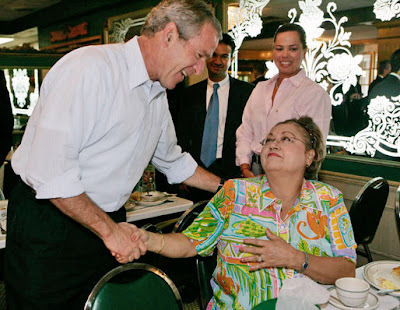 He's still thanking Floridians for getting him elected again, and he was photographed thanking this Cuban woman for her four votes in the 2000 election. 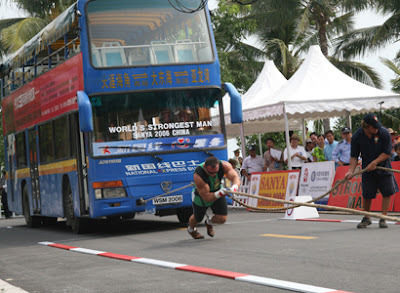 What is the second hardest sport in the world? Today at the gym the dread locked Handball player told us that Handball is "the second hardest sport in the world after boxing." I did a little digging and found no proof supporting his claim, but I did find a website comparing Racquetball to Handball that reports "A University of Utah study showed Handball to be superior to Racquetball in all four of the the fitness indicators that were measured." I have no idea what Average Oxygen Uptake and Average Ventilation Rate are but I trust people from Utah. Please shoot me a note if you have any idea what those fitness indicators measure. 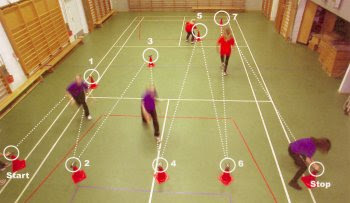 I would like to try Handball next week even thought it might result in a few twisted fingers. It appears to be sport at its purest. You just hit a small rubber ball against a wall with your hand. It doesn't get any more simple. Also, seems like a great city sport because you can pick up games at most parks in the city. It might be good to try because the site claims you develop "coordination and power in your non dominant hand because you hit the ball with both hands" Most sports are pretty unilateral and only require the use of your dominant hand. I'm all for any sport that helps me develop some left hand / eye coordination. I really love egg and cheese sandwiches. 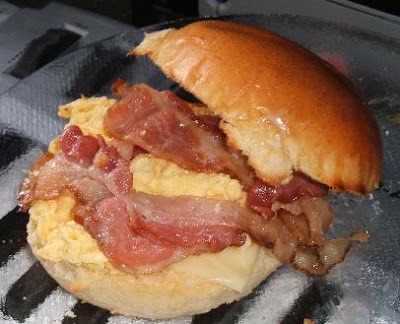 Nothing is better than rolling into a NY deli and chowing down on a good old fashion bacon egg and cheese on a bun. Today after our Racquetball session Tom and I hit the YMCA cafeteria up for some egg and sausage sandwiches. It really hit the spot after a long workout. Out of curiosity I did a quick search to learn how many calories my breakfast had set me back. Here is the nutrition information for a Sausage / Egg and Cheese on a Bun Deli Order. Gets a big fat F for nutrition. Note to myself....next time I'll go for the ham instead of the bacon or sausage, ask them to hold the cheese and get an English muffin. This combination shaves off 276 calories and 28 grams of fat from the original breakfast sandwich. Of course if I really want to be healthy next time I'll go for the egg whites and ask them to hold the cheese. Shuttle Run = Death. This morning after our racquetball game Tom and I decided to head to the Y's basketball court and complete a few suicide drills. We thought they would be good preparation for the basketball league we are joining. 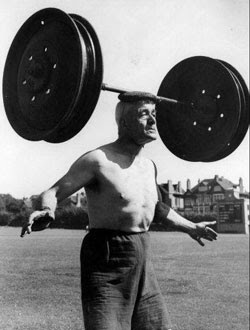 These drills are more commonly referred to as shuttle runs and you might remember doing them in the 6th grade as part of the President's Physical Fitness challenge - Arnold was a big fan of these when he was Reagan's P.E. Czar. After the third shuttle run my heart nearly pounded itself out of my chest. I can't really remember the last time I sprinted without having the police chasing after me but it puts a good burn on the legs. Maybe I'll wake up tomorrow morning and run sprints up and down 23rd street....or one sprint across 22nd street and walk home for an egg and cheese. I learned that the Shake Shack opened unofficially today. I immediately checked out the live camera people use to gauge the Shake Shack line. Later, I spent a few minutes looking at their menu and found nothing that might even masquerade as a healthy lunch choice. That said I can't give up on the place. 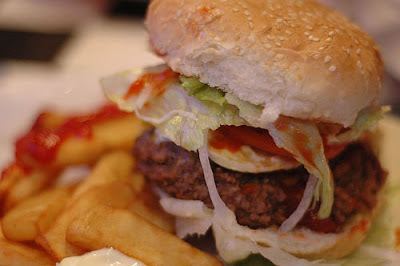 I need a plan of attack for how to deal with my summer burger craving. 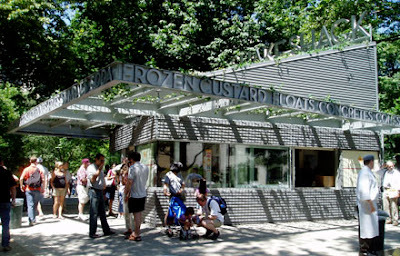 Maybe I can permit a handful of shake shack visits to myself between now and Labor Day and do my best to abstain from both the fries and and the shakes. I'll need to check out the caloric value of a frozen custard - but I'm not keeping my fingers crossed. Today I was thinking about making the world's largest sandwich. I think I was a little bit hungry. What would I make it with? Would it be something simple like PB & J? 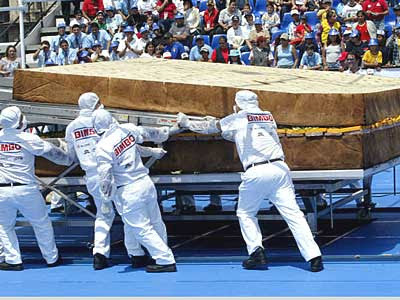 How about the world's largest grilled cheese. A quick search popped up a couple of attempts. I couldn't confirm who holds the record but my hat is off to these guys in Mexico who made an attempt last year. 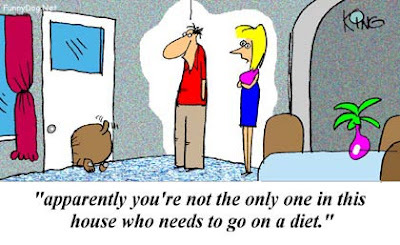 Lastly, Would it even jive with my diet? Today I failed. I woke up in the morning with good intentions. I had a cup of fiber cereal and 1 egg with half a chicken sausage. Great low fat protein to turbo charge the day. I was on my way to success...then at 11am I walked by a pizza spot on Houston and Canal. 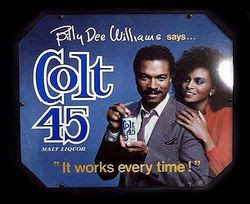 The guy at the counter gave me a look that said without words "it is 11am and you want a slice" So now I felt like a homeless man purchasing a Colt 45 in the morning by ordering a slice of cheese at 11am. Weight Watchers suggests you weigh yourself once a week at exactly the same time using the same scale. 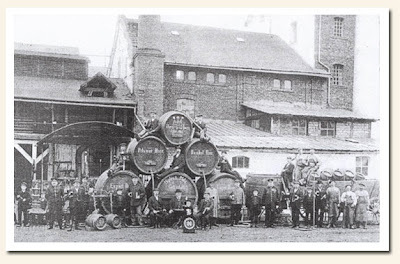 This allows for a consistent measure that can be tracked and monitored over time. This week I lost 2.5 pounds bringing my weight to 240 and my total weight loss to 16 pounds. 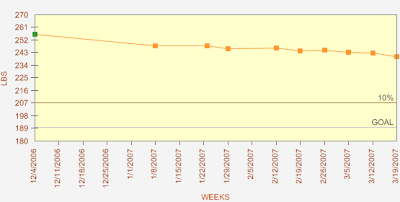 I've included a graph courtesy of Weight Watchers online that shows the progress I've made. The chart itself has been very helpful to me and continues to work as a great motivator because I just don't want to let the graph down. My overall goal right now is to get to 207 pounds which means I have another 33 to lose. However, I'm going to put the larger goal aside for the moment and just focus on losing the next pound. At that point I can start thinking about 207 again for a few minutes. Is Ultimate Step Aerobics really a good idea? I agreed to join Annie at one of her gym classes. At first I resisted sure that it would only result in terrible embarrassment. We walked into the room. Annie set up our steps and then the blaring music started. 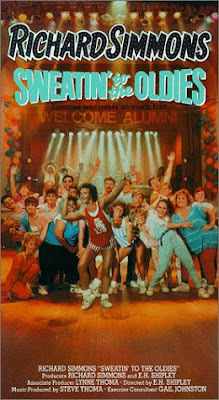 The teacher started yelling "V-Step, L-Step, Cha-Cha Knee Step"...Immediately, my mind turned to those horrible Richard Simmons infomercials I used to watch as a kid promoting his Sweating to the Oldies videos. Everyone in the class was now in unison moving together to the beat of some compilation cd that included Justin Timberlake, Marc Anthony and Christina Aguilera. I was officially out of my element. Every now and then the instructor would yell Mambo and each time the Cuban in me failed. I tried following the girl in front of me but mostly I just laughed at my own lack of coordination. Half way through my fourth laugh the instructor started yelling "MALE SPECIES! MALE SPECIES! DO NOT QUIT ON US! KEEP MOVING!" UGH! ...more panting...more sweat....more pain....more yelling "MALE SPECIES KEEP IT GOING YOUR LADY FRIEND WILL THANK YOU FOR IT..MORE ENDURANCE" At that point I kicked my water bottle onto another woman's step area disrupting the entire class. Finally, the class ended with the instructor asking the class to clap it up for the new male species joining us today. I wore a heart monitor that day to evaluate my aerobic heart rate. My heart rate monitor said I burned 900 calories during the workout. Clearly, this class combined with racquetball would provide results. This morning after a 45 minute cardio workout Annie and I met for breakfast at The Comfort Dinner. The Lumberjack Breakfast called out to me...my inner Paul Bunyan needed two pancakes, two eggs and bacon. I couldn't reject the temptation. Annie reminded me that I could do a few things to make the Lumberjack more waist-friendly. She recommended that I order the eggs poached and ask for turkey bacon instead of regular bacon. I didn't even know that turkey bacon existed. Pleasantly surprised by its flavor and nutritional content I came home and cancelled my membership to the Bacon of the Month club. 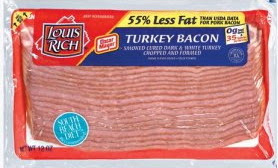 Turkey Bacon: 70 calories, 5.6 grams of fat and 340 mg of sodium. Regular Bacon: 251 calories, 28 grams of fat and 8mg of sodium. Shortly after completing my first yoga session I reluctantly agreed to join Weight Watchers online under the condition that I would not have to attend any overly sensitive offline support meetings. I told Annie that I was just not prepared to talk about my weight in front of a group of supportive strangers. I started out by registering my height and weight: 5ft 10inches and 256 lbs. The online Flex Plan program then spits out the number of points you can eat in a given day. I was allowed to eat 38 points per day. I thought this sounded impossibly low and and my suspicion was confirmed when I looked up the points value for a cup of Picadillo—10 points. So they basically told me I could eat 4 cups of fried beef a day....clearly Nicole Richie provided the science used to convert calories to points. Clowns on the Racquetball Court ? After I accepted Yoga and Weight Watchers into my life I started to think that I needed a sport. I had reduced my weight in those first months by 10 pounds to 248. However, I found myself stuck at the 248 pound mark and knew that I needed something more than 20 non inspiring minutes on the elliptical machine to kick my metabolism into gear and get motivated. I needed a competitive sport. I wanted to get involved with something that would cause me to work up a sweat. My try out for Nathan's Hot Dog eating contest failed at hot dog 18. However, if you are interested on June 3rd they are holding a qualifier for the big event at Shea Stadium. Fortunately, just a few days after my competitive eating career stalled I received an invitation from a friend to play racquetball at the YMCA. The idea of chasing a bouncing rubber ball with a metal racket in a small enclosed chamber sounded appealing. I took my buddy up on the offer and found myself running around the court on a fairly regular basis each morning at 7am. First, I was shocked to learn that a large community of devote Racquetballers meets every morning at the Y. Secondly, I was surprised to learn they would embrace an out of shape man who had last played racquetball in the 6Th grade. The morning community is comprised of squash, handball and racquetballers who are doctors, lawyers, wine importers, actors, one Rastafarian, and one juggler who occupies court number 1 with bowling pins and a jump rope. They almost immediately extended invitations to play doubles and singles matches. While I have yet to notch a victory, I've learned that there is honor in hitting yourself with the ball on game point and that racquetball is great exercise. I'll burn a little under a pound of fat for every 4.4 times I show up. 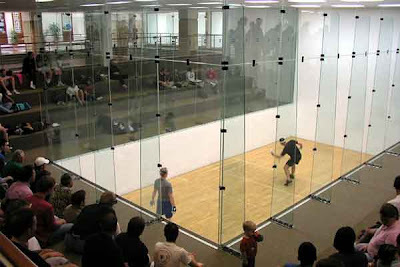 At my height and weight one hour of racquetball burns about 793 calories. So I guess if I show up 220 times this year I'll get to my ideal weight. How does Racquetball's caloric burn compare to other activities you might enjoy? "I only drink on the days of the week that end in a Y"
A big part of my diet has been restricting the amount of beer and alcohol that I consume. Sadly, the 7 beers I was consuming each week were collectively responsible for 15 of the pounds I put on in 2006. 28 beers each month equals 4,284 calories or roughly 1.25 lbs. That represents about 5 hours of aerobic exercise. I promise you that in 2006 I probably completed a total of 5 hours of aerobic exercise. My sister-in-law recommended that I substitute a glass of water in between beers, which immediately cut my beer consumption in half. Below is a guide to the caloric value of some of our favorite beers. Can a 256-pound, inelastic hairy man do Yoga? At the end of 2006 Annie was still using an old VHS cassette for her at-home yoga workouts. For her 29th birthday I purchased a Rodney Yee yoga DVD called Power Yoga. The back cover told me the DVD would help sculpt a "leaner, stronger physique. Burning calories and boosting stamina." The guy in the picture had a long ponytail and was doing an inverted pose that I'm sure is computer generated. I purchased the DVD despite the fact that my grandmother had warned me to stay away from the new-age practice of yoga because it was diluting Catholicism. Annie used the DVD once in a while, but more often it sat gathering dust. Intrigued by that inverted pose image, I thought I would give a beginner's tape a try. One day in January, as part of a private New Year's resolution I reluctantly took Armageddon out of the DVD player and popped in the "Power Up" yoga DVD. I nearly snapped my neck after my first sun salutation and was soaked in sweat after the 25-minute session was over. Truth be told I barelyl finished the first tape and only made it because the last 10 minutes are all done while laying on your back. After the first session, I felt a bit more flexible, less intimidated and eager to try it again. While it was a small accomplishment, I decided that yoga would have to be the first defense against the general decay my body had accepted over the last 8 years. I woke up one morning in early November weighing 256 lbs. I don't remember the date I only remember the number. Annie and I had just returned from a trip to visit her grandfather in Ireland where I took a liking to the classic Irish Breakfast. 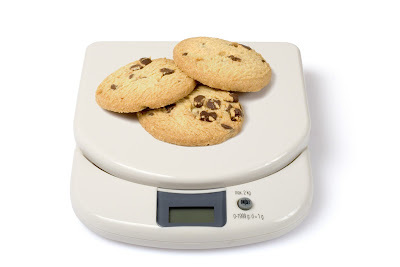 The new digital scale looked at me laughing. 256! 256! Trust me, it wasn't just a giggle. So with that I decided to do nothing. I ignored my inner voice and kept eating whatever made me happy: bagels with cream cheese (so good), those little mini snickers bars, the occasional Quarter Pounder with Cheese, and tons of fries. Christmas and Thanksgiving came and I very proudly filled my belly with turkey, stuffing, rice, beans, empanadas, platanos and before I knew it I was welcoming 2007 at 258 lbs. Over that same Christmas we had a nice family dinner in Miami where I recall thinking, I weigh the same as my two uncles put together and you might very possibly be able to add in the weight of a my 5-year-old cousin. Then at our annual Christmas Eve gathering I made a joke about my weight during a toast...and the joke was well received. I was shocked and really thought everyone would respond with a simple, "What are you talking about Al? You're not fat." A few days later I tried my grandfather's scale hoping it wouldn't mock me with the same giggles as my digital scale in New York. My grandparents own an ancient scale that sways between a 20-lb range depending on how you stand on it. My range was between 240 - 260. This is BAD, I thought. Then the last straw: I was watching a Michigan college football game and heard tackle Prescott Burgess's stats mentioned. He, a linebacker, weighed 243 lbs. I very proudly thought, My 250 can hang with the players on the Michigan team, and then my outer voice betrayed me by yelling this out. Someone very impolitely pointed out that he was 6ft 3. I realized at that point that not only was I out of shape but that the situation was probably far worse than I thought. 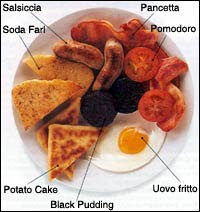 Oh and for those of you wondering the average Irish Breakfast has 1250 calories and 93 grams of fat. This translates to 32 Weight Watcher points which is the equivalent to one day of food for a 240 pound man.